SnugRide Click Connect 40 is the only newborn to 2 year infant car seat. SnugRide Click Connect 40 provides comfort and protection for babies from 4-40 pound. The adjustable base provides the most leg room for your growing baby. It also includes a one hand height-adjustable head rest and no-rethread harness for best head protection and fit to your child.Machine-washable seat cushion,Metal and plastic parts may be cleaned with mild soap and water,Buckle may be cleaned with a damp cloth. SnugRide Click Connect 35, in Nyssa, is an ultra-lightweight infant car seat, making it easy for mom to carry baby from car to stroller and everywhere in between. The rear-facing car seat is designed to protect babies from 4 – 35 pounds. and features a comfortable seat and removable boot to keep baby safe and cozy. SnugRide Click Connect 35 is equipped with Click Connect technology providing a secure one-step attachment between these infant car seats to all Graco Click Connect strollers, making it easy to create a custom travel system that best fits your lifestyle. It’s an excellent first car seat to help protect your precious child. SnugRide Click Connect 30 LX, Marco, is an ultra-lightweight infant car seat, making it easy for mom to carry baby (from 4 – 30 pounds.) from car to stroller and everywhere in between. 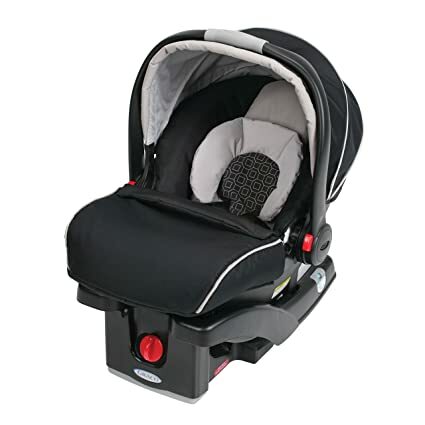 The seat features a comfortable seat to keep baby safe and cozy and the front-adjust harness and 3-position adjustable base make it convenient. 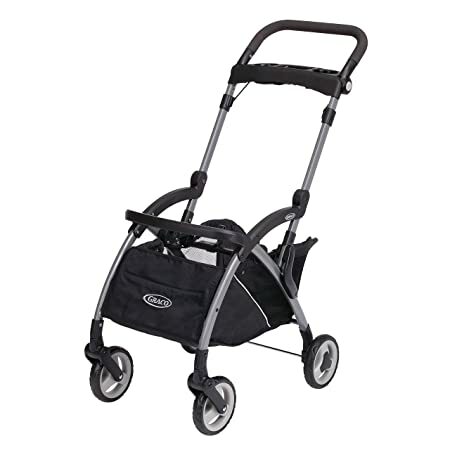 Click Connect technology provides a secure one-step attachment to all Graco Click Connect strollers making it easy to create a custom travel system that best fits your lifestyle. It’s an excellent first car seat to help protect your precious child. Simply click in your favorite Graco infant car seat and go! The SnugRider Elite turns your favorite infant car seat into an ultra-portable travel solution & is the only car seat carrier engineered exclusively for Graco car seats. 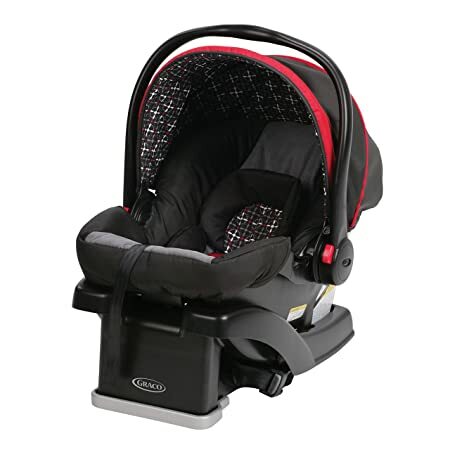 Compatible with all Graco Classic Connect and Click Connect infant car seats. 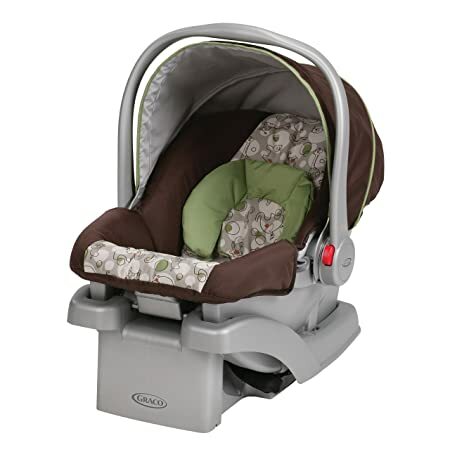 Graco’s SnugRide (Click Connect) 30 is an ultra-lightweight infant car seat, making it easy for you to carry baby from car to stroller and everywhere in between. The seat is designed to protect a rear-facing baby from 4 – 30 lb. The seat keeps baby safe and cozy with the convenient 5-point, front-adjust harness. It’s equipped with Click Connect technology, providing a secure one-step attachment to all Graco Click Connect strollers so you can create a custom travel system that best fits your lifestyle. It’s an excellent first car seat to help protect your precious child.Machine-washable seat cushion,Metal and plastic parts may be cleaned with mild soap and water,Buckle may be cleaned with a damp cloth. Snug Ride Click Connect 35 LX featuring Simply Safe Adjust Harness System is an ultra-lightweight infant car seat, making it easy to carry baby from car to stroller and everywhere in between. 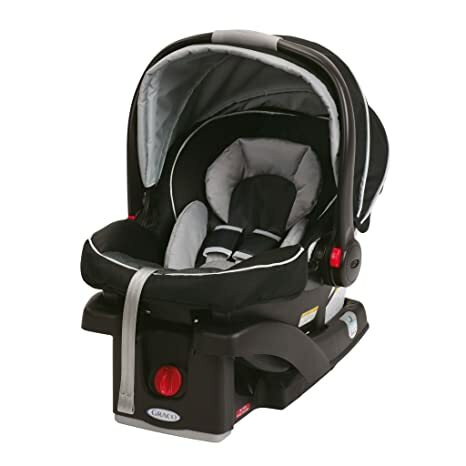 It’s designed to protect babies rear-facing from 4 – 35 lbs., and installation is a breeze with the In Right LATCH System. Snug Ride Click Connect 35 LX is equipped with Click Connect technology providing a secure one-step attachment to all Graco Click Connect strollers so you can create a custom travel system that best fits your lifestyle. It’s an excellent first car seat to help protect your precious child.Machine-washable seat cushion,Metal and plastic parts may be cleaned with mild soap and water,Buckle may be cleaned with a damp cloth. 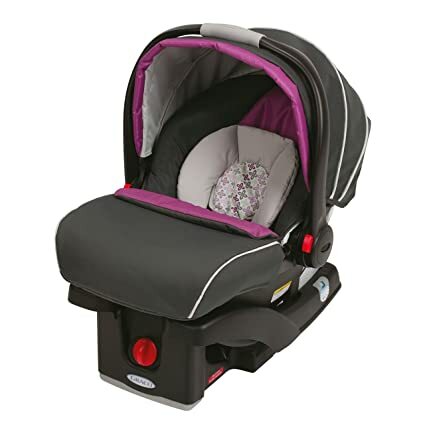 The SnugRide Click Connect 35 infant car seat is designed to protect babies rear-facing from 4-35 lbs and features a comfortable seat to keep baby safe and cozy. SnugRide Click Connect 35 is equipped with Click Connect technology providing a one-step secure attachment to all Graco Click Connect strollers making it easy to create a travel system that best fits your lifestyle. Graco’s SnugRide Click Connect 30, Zuba, is an ultra-lightweight infant car seat, making it easy for you to carry baby from car to stroller and everywhere in between. The rear facing car seat is designed to protect a baby from 4 – 30 pounds and features a comfortable seat to keep baby safe and cozy. It’s equipped with Click Connect technology, providing a secure one-step attachment to all Graco Click Connect strollers so you can create a custom travel system that best fits your lifestyle. It’s an excellent first car seat to help protect your precious child. CLICK. That’s the sound of a secure install. The SnugRide SnugLock 30 infant car seat has a hassle-free installation using either vehicle seat belt or LATCH. In three easy steps you can feel confident you’ve got a secure install. The unique SnugLock Technology helps provide a secure install through a simple push. The base with its 4-position recline and easy-to-read level indicator helps eliminate installation guesswork. Click Connect technology provides a secure one-step attachment to all Graco Click Connect strollers making it easy to create a custom travel system that best fits your lifestyle. The SnugRide SnugLock 30 infant seat gives moms peace of mind and helps protect rear-facing infants from 4 – 30 lb and up to 30″. 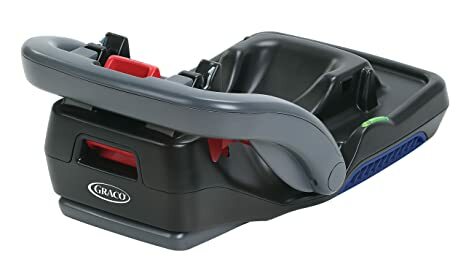 The Graco SnugRide Classic Connect Infant Car Seat Base fits all SnugRide Classic Connect infant car seats and is fully optimized for LATCH connection. The base features integrated belt lock-off for easier seat belt installation, including 6-position dial adjustment to make proper installation easier. The on-base, easy-to-read level indicator ensures accurate installation. This metallic silver, stay-in-car base is sold separately and allows the car seat to properly recline and perform all functions while offering ultimate convenience for parents. It’s ideal for parents with a second car, or for use in caregiver’s cars. Click. That’s the sound of a secure install. 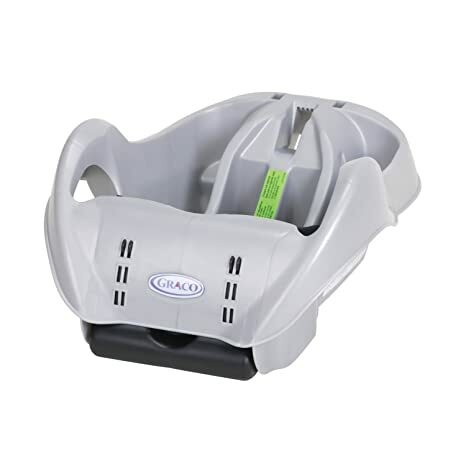 This Infant Car Seat base has a hassle-free installation using either vehicle seat belt or Latch. In three easy steps you can feel confident you’ve got a secure install. To further make installation a breeze, the InRight(TM) Latch provides a one-second connection and the base with its 4-position recline and easy-to-read level indicator helps eliminate installation guesswork. The new Safety Core(TM) frontal crash absorption zone absorbs crash forces in the event of a crash to help protect your little one. Click Connect(TM) technology provides a secure one-step attachment to all Graco(R) Click Connect(TM) Car Seats (sold separately). 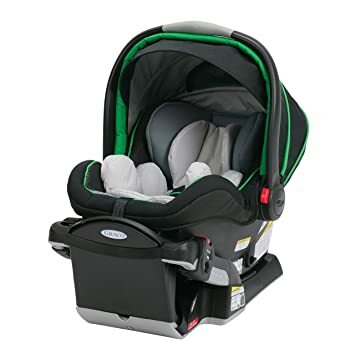 The SnugRide Click Connect 35 infant car seat is designed to protect babies rear-facing from 4-35 lbs and features a comfortable seat to keep baby safe and cozy. SnugRide Click Connect 35 is equipped with Click Connect technology providing a one-step secure attachment to all Graco Click Connect strollers making it easy to create a travel system that best fits your lifestyle.. Machine-washable seat cushion, Metal and plastic parts may be cleaned with mild soap and water, Buckle may be cleaned with a damp cloth, Rear-Facing Only. Weight- 4-35 pounds Height- up to 32 inches Head must be more than 1 inches from the top of the headrest Infant car seats made 2011 or after have an expiration date of 7 years from manufactured date. STOP using this car seat and throw it away 7 years after the date of manufacture. Look for date of manufacture label on back of the car seat. Infant car seats made prior to 2011 have an expiration date 6 years from manufactured date. (General Warnings) The American Academy of Pediatricians (AAP) and National Highway Safety Administration (NHTSA) recommend that children ride rear-facing until the age of 2 or until they reach the maximum rear facing height or weight rating for their car seat. Always remember to check your local or state laws regarding car seat usage. 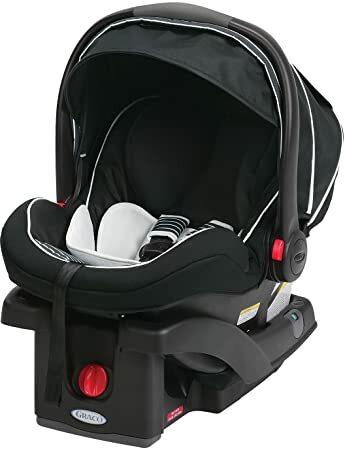 Snug Ride Click Connect 35 LX featuring Simply Safe Adjust Harness System is an ultra-lightweight infant car seat, making it easy to carry baby from car to stroller and everywhere in between. 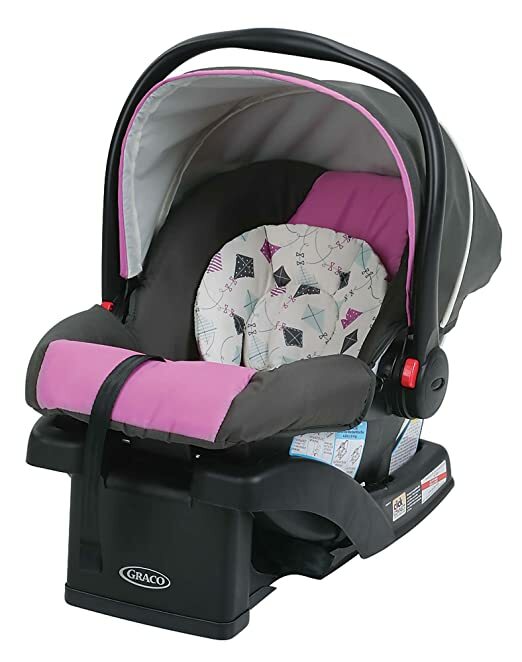 It’s designed to protect babies rear-facing from 4 – 35 lbs., and installation is a breeze with the In Right LATCH System. Snug Ride Click Connect 35 LX is equipped with Click Connect technology providing a secure one-step attachment to all Graco Click Connect strollers so you can create a custom travel system that best fits your lifestyle. It’s an excellent first car seat to help protect your precious child.